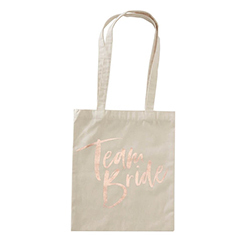 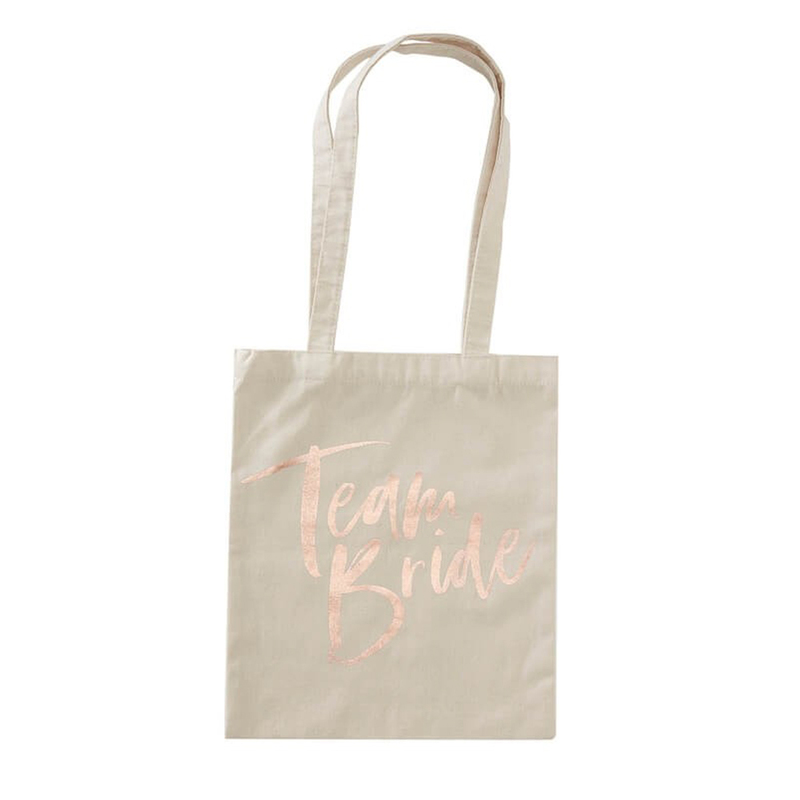 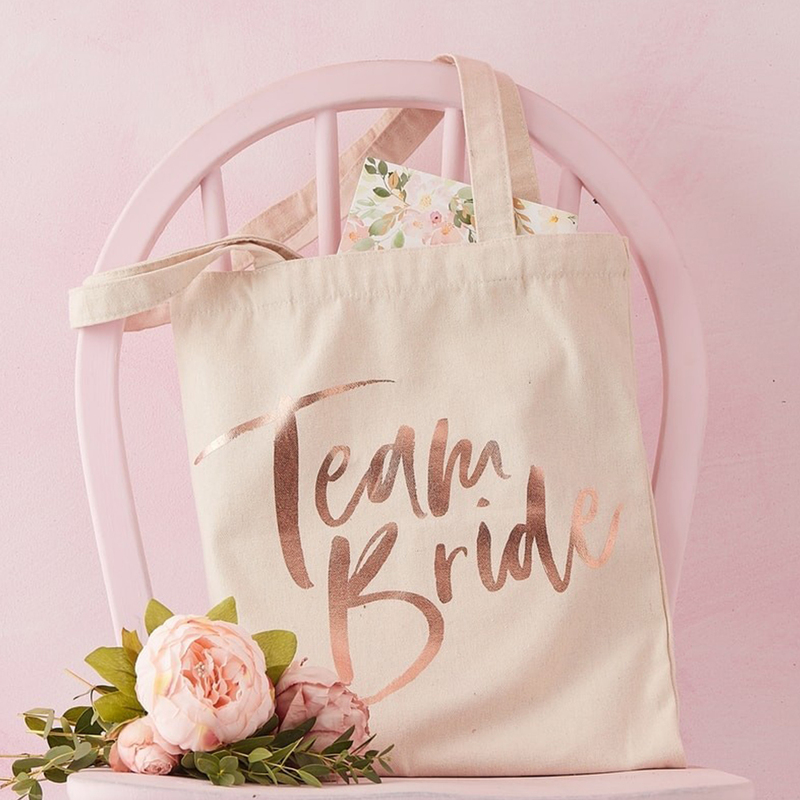 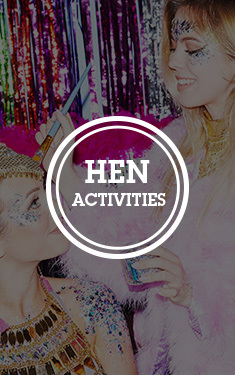 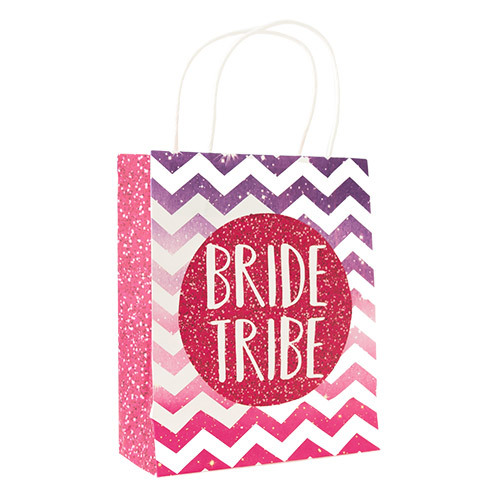 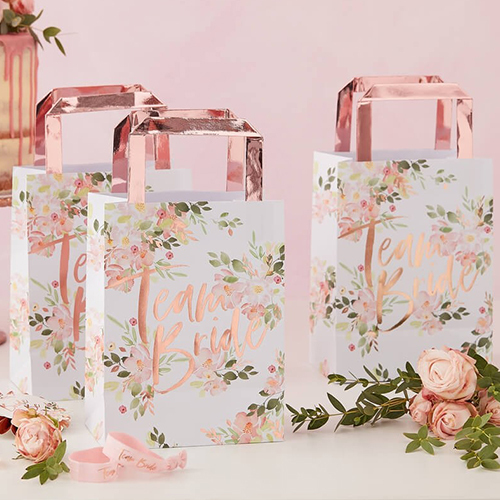 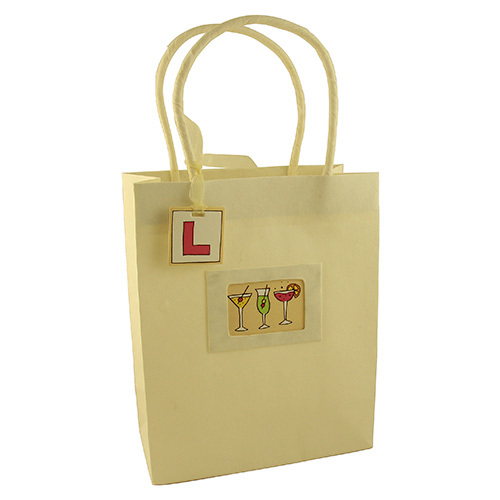 One thing about hen parties is that you always end up with so much stuff to carry around, it may be that your handbag just isn't big enough, we have loads of paper gift bags but we understand that some people might want something a little bit more substantial, this is where our rose gold team bride tote bag comes in. 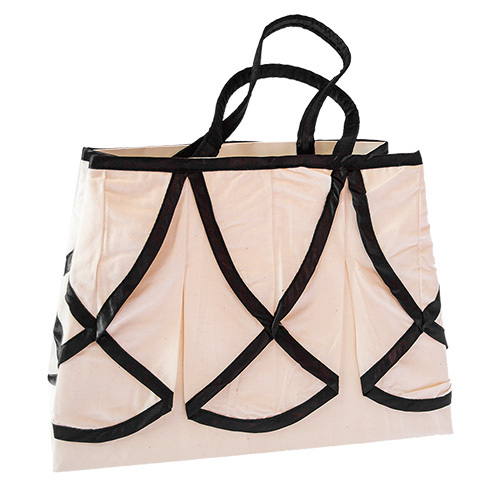 At 67cm high and 31cm wide this item is more than big enough to carry around all the loot you acquire and it looks so stylish too. 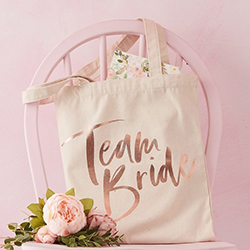 This is part of our floral team bride range and will compliment other products from that collection brilliantly.